The National Association of Tower Erectors (NATE) today released a Weather Conditions Video as part of the Association’s 2016 Climber Connection campaign. With extreme heat warnings being issued across the nation today, it provides a timely opportunity to review it and ensure that you and your co-workers remain safe. 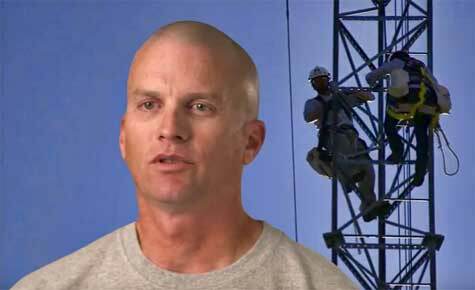 The video features testimonial footage of a tower technician discussing the temperature extremes that industry workers are often exposed to when performing work at a communication tower site. Brent Jarvis narrates the informative video on working in harsh weather conditions. The segment depicts the symptoms associated with heat and cold stress and the importance of proactive recognition and awareness of these symptoms. Additionally, the video also includes practical, life-saving treatment steps for workers to adhere to when experiencing the varying degree of symptoms related to extreme heat and cold exposure. “This is a very informative Climber Connection video as weather related Medical Emergencies are the kind that sneak up on you and you don’t realize it until it’s too late,” said Brian Wyman, the Director of Safety and Compliance at HPC Wireless Services. “The importance of watching out for your coworkers and being aware of the symptoms cannot be overstated as it’s critical that all workers understand the risks and symptoms related to both hot and cold working conditions in order to stay safe,” added Wyman. 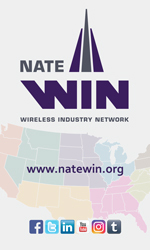 NATE encourages tower climbers and all wireless industry stakeholders to actively participate in this campaign by posting the Weather Conditions Video on their respective social networking platforms using the hash tag #ClimberConnection. NATE also encourages tower climbers to share their personal safety tips through social interaction on the Association’s Facebook and Twitter pages.